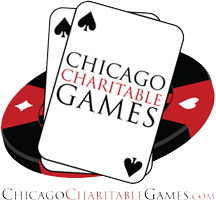 Chicago Charitable Games Poker, returns to the Odeum upstairs in our Banquet Room. Bring your buddies and put on your “Poker Face” to take your chances at winning some BIG MONEY! And just in case Lady Luck is not with you on your first few hands…we DO have an ATM machine in our lobby downstairs! All events are open to the public. Must be 18+ to play. Live cash games start at 2:30pm and run all event long. The Sit-n-Go single table tournaments and multi-table tournaments also available. Our Sports Lounge is also open for LIVE VIDEO SLOTS…stop on by to WIN BIG! Doors open at 2:00pm and runs until 1am. Check the website for games planned. Contact: Visit www.chicagocharitablegames.com for all the details.